Cologne pilgrim bus hit a post in Switzerland , a young woman dies, 14 young people are injured, some seriously - Cologne Cardinal Woelki: "I am deeply upset about this terrible bus accident"
A tragic accident occurred during the bus trip with young people from the Archdiocese of Cologne: in a traffic accident on Sunday morning, a 27-year-old died, a total of 14 people were injured, two of them seriously. Among the injured is the bus driver. 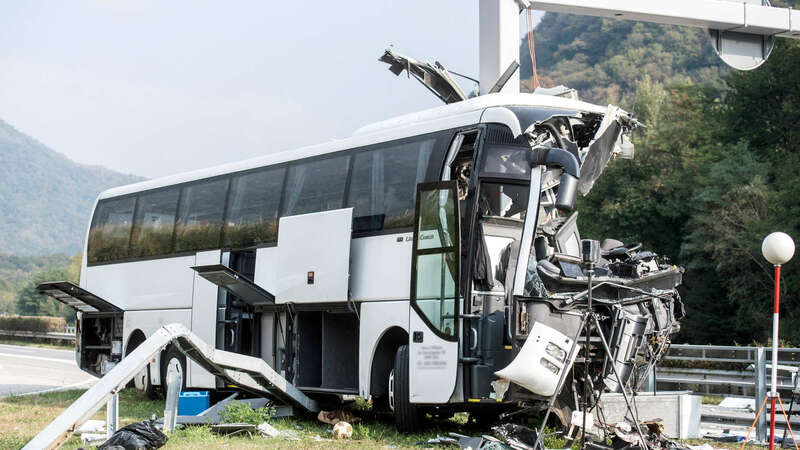 The bus had hit a post near Sigirino / Canton Ticino and had been torn up behind the driver's cab. The tour group had left on Saturday evening in Cologne and was on pilgrimage to Assisi. The adolescents were persons from the Catholic high school St. Ursula / Brühl and a group from the Catholic church organization Kreuz-Köln-Nord with their accompanying adults. The victims and relatives are looked after by pastoral workers on site and from the Archdiocese of Cologne. A nurse had driven directly behind the bus and started immediately with first aid.